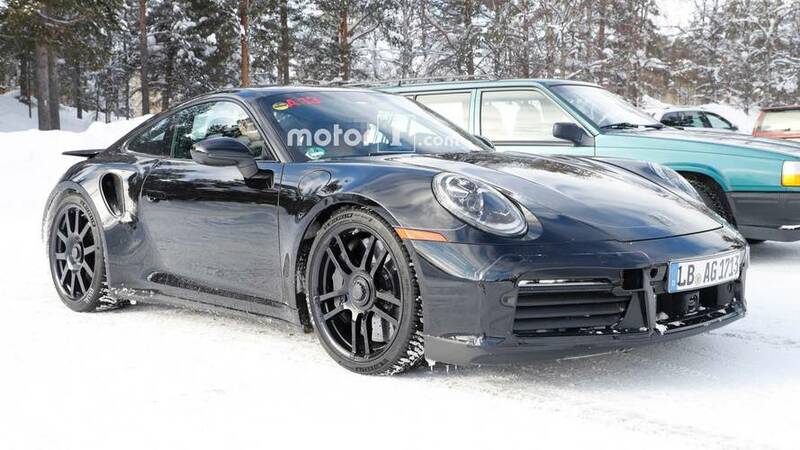 There could be 550 horsepower driving those big snow tires. 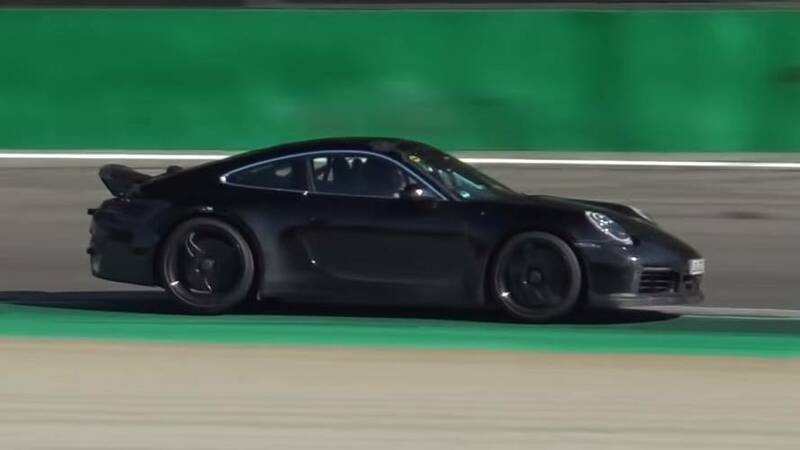 The big wing is a telltale sign this isn't an ordinary Carrera. 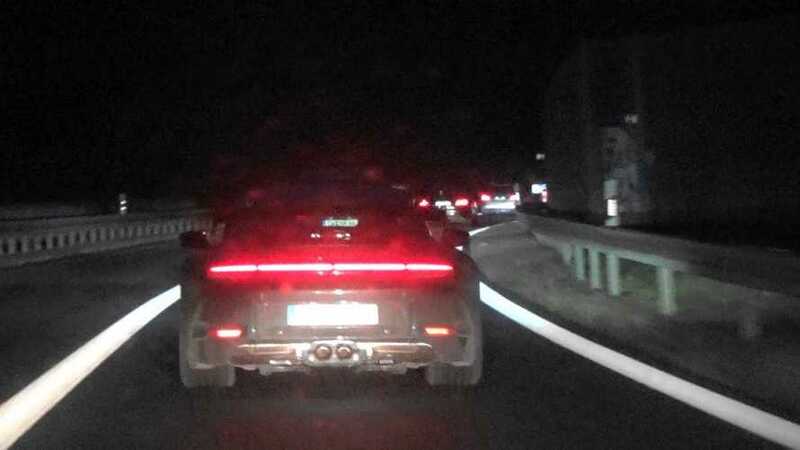 Testing for the high-strung supercar is in full swing, but a reveal could still be nearly a year away. My that's a big wing you have. 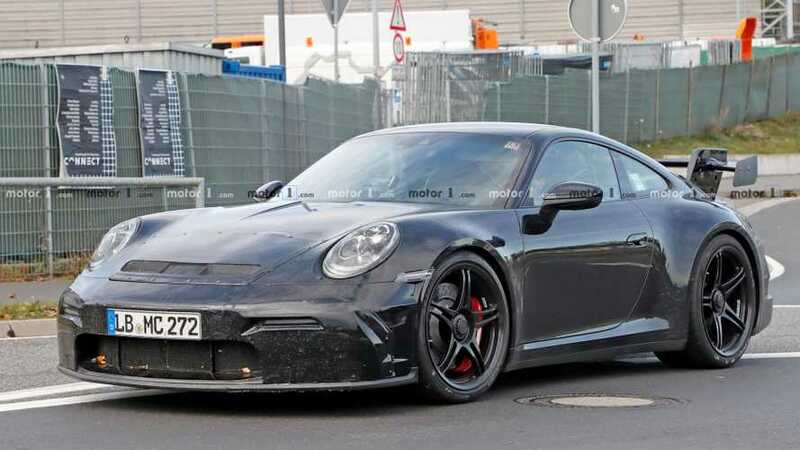 A debut could be over a year away. 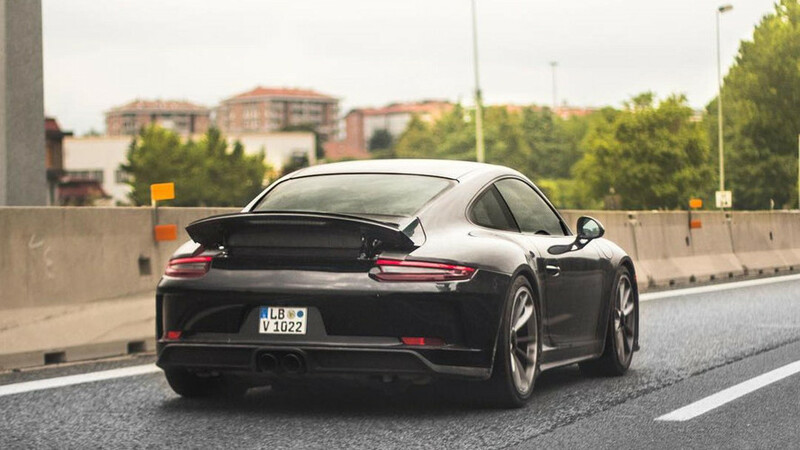 What's not to love about a naturally-aspirated flat-six combined with a luxurious cabin? 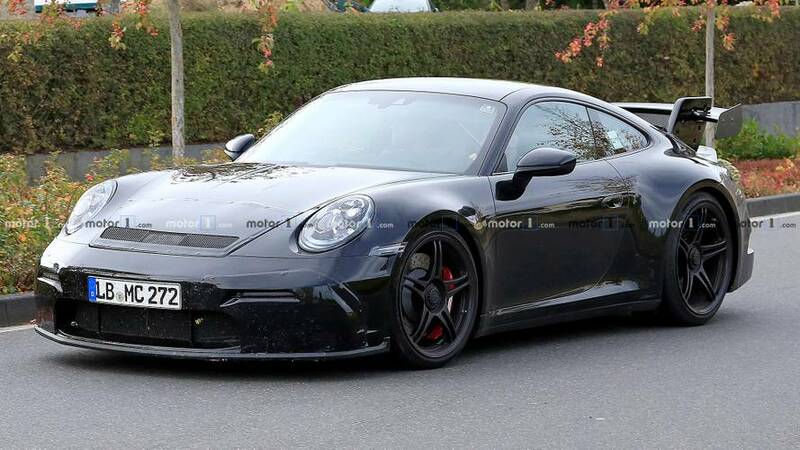 Purists, rejoice! No turbo here. 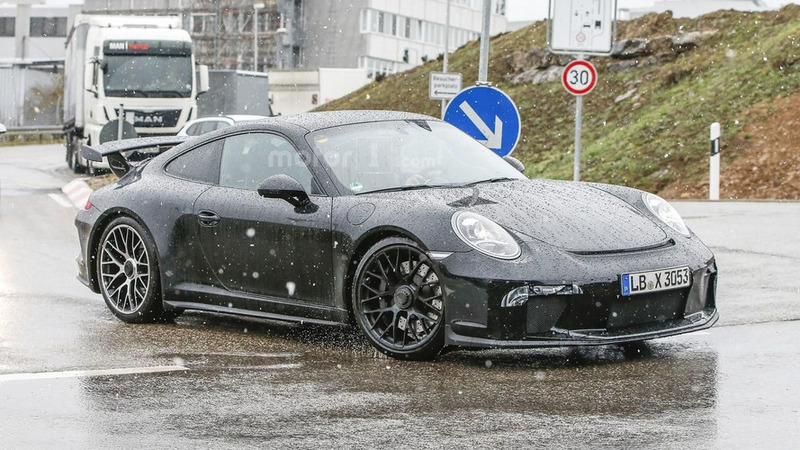 Stuttgart's next track-focused Nine Eleven looks as if it's glued to the road. 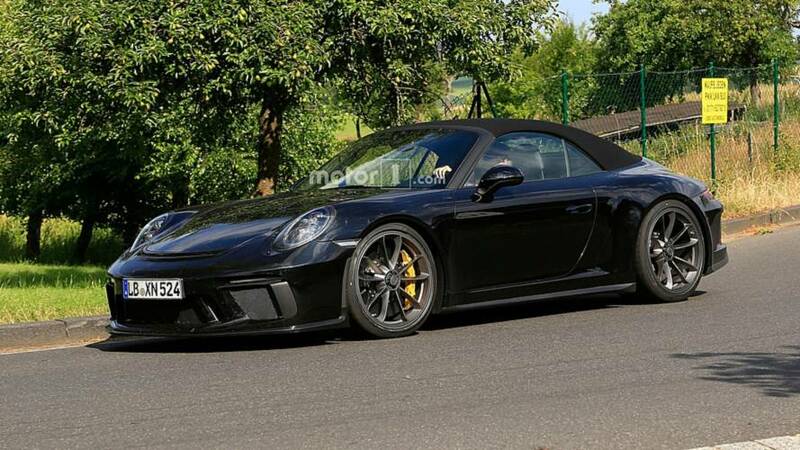 It appears Porsche will offer this car in addition to the Speedster. 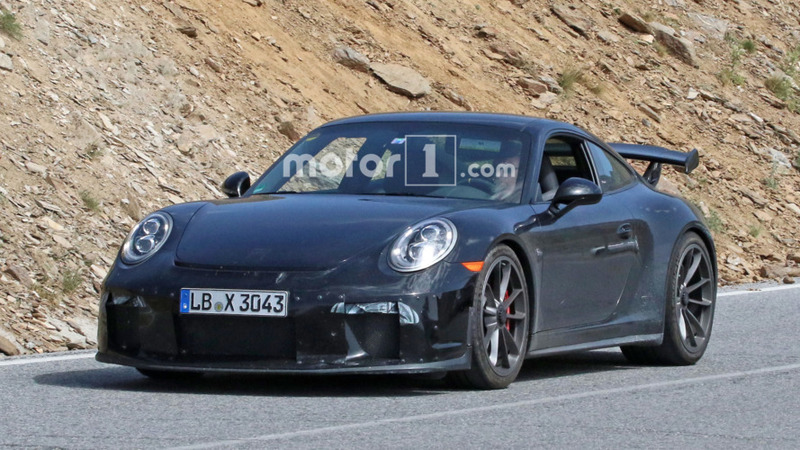 It's a bit different from the new 911 Turbo we've already caught on camera. 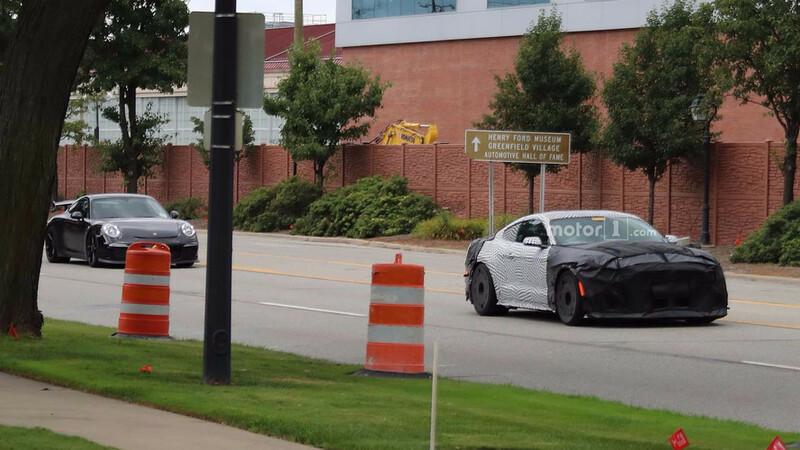 The two cars were spied together near Ford's Dearborn proving grounds. 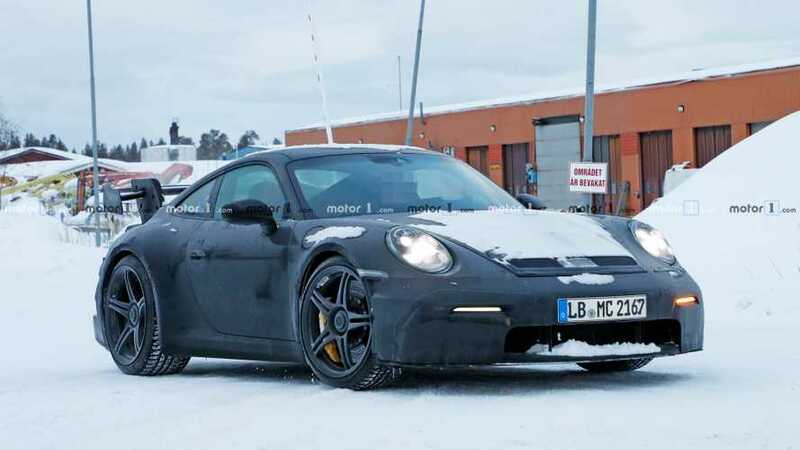 Do Spy Pics Reveal Porsche 911 R Successor? 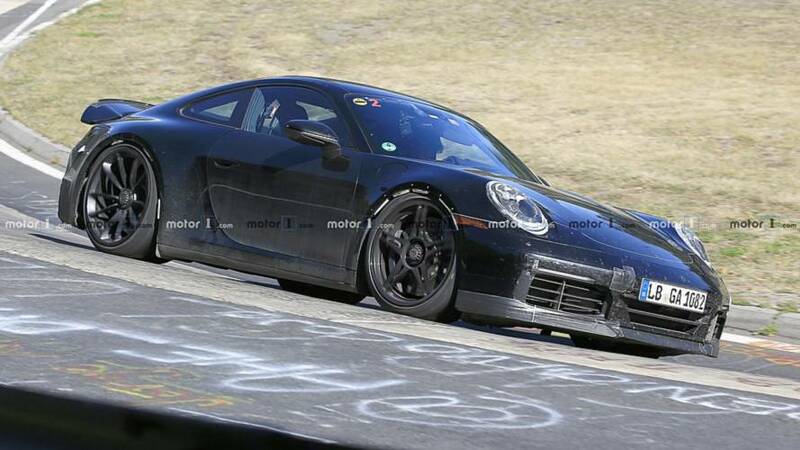 This wingless 911 GT3 really gets our gears spinning about what Porsche could be developing. 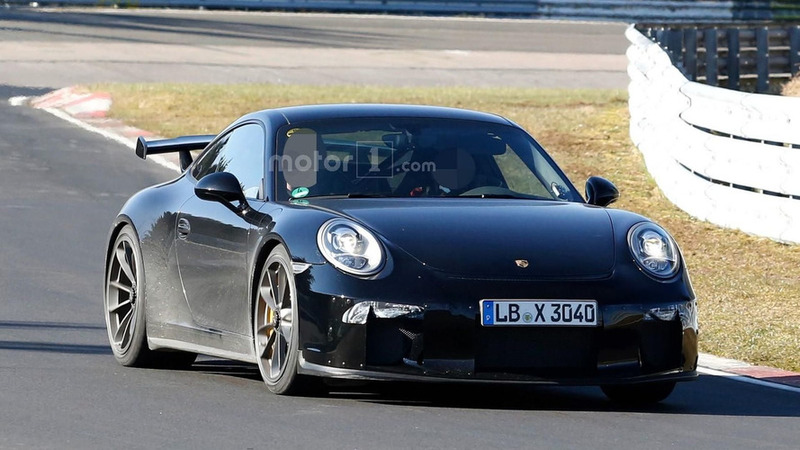 With a naturally-aspirated engine and a manual gearbox, the facelifted 911 GT3 will be a purist's delight. 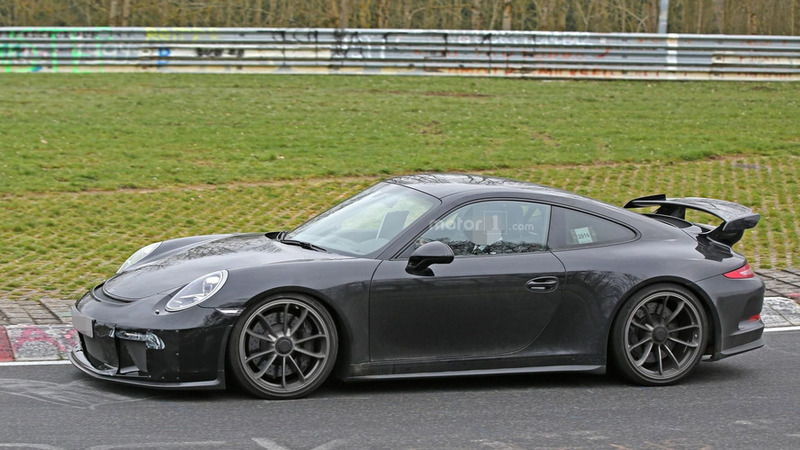 Porsche was at the Nürburgring the other day to perform a series of tests on a prototype for the 911 GT3 facelift. 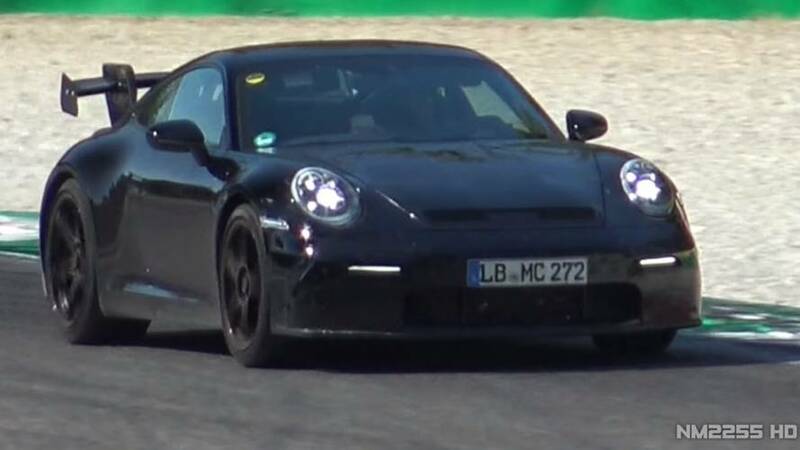 The facelifted Porsche 911 GT3 has been spied putting in a few laps on the Nürburgring. 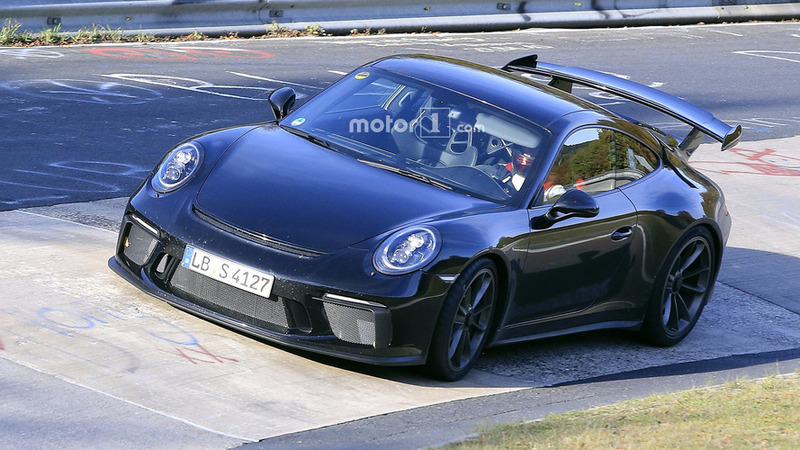 Set to follow in the footsteps of the facelifted 911 and 911 Turbo, the 911 GT3 features an evolutionary design that is instantly recognizable. Styling changes are fairly limited at this point but the car has been equipped with a new front bumper, restyled LED day time running lights, and new taillights. 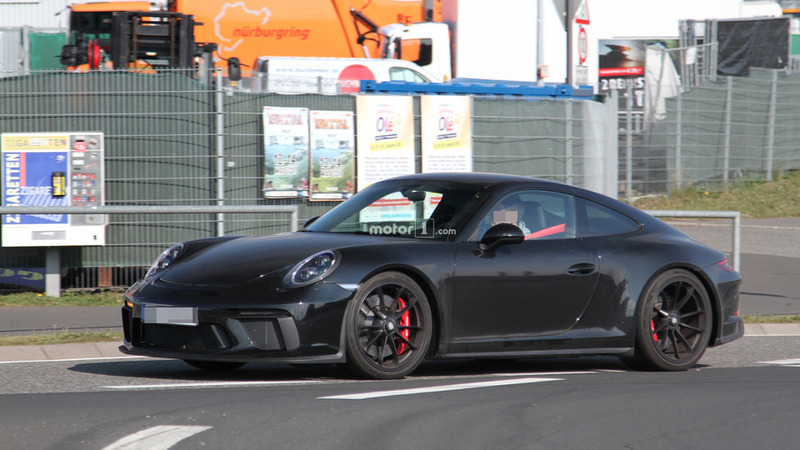 The production model could also be equipped with new headlights and modified door handles.